Lenovo is bringing another Windows 8 tablet to market -- this one made with keyboard cover in mind -- along with five new touch-based laptops that are slated to arrive globally in July and August. The tablet, called the Lenovo Miix, features a 10.1-inch screen with a 1366 by 768 resolution and an Intel Atom dual-core processor. As the product's name suggests, Lenovo has tried to mix the features of a PC and a tablet, and offers an optional detachable folio case with a built-in keyboard. The Lenovo Miix will start at US$500 and boasts 10 hours of battery life. The tablet will have 64GB of storage, along with a micro-SD slot for expandable memory of up to 32GB. It weighs around 550 grams and is 10 millimeters thick. The Miix is just the latest "multi-mode device" from Lenovo, which has releasing more products that can switch between being a laptop and a tablet. Lenovo's CEO expects convertible PCs will eventually rise past entertainment-focused tablets in popularity over time. But so far Windows 8 devices have yet to find much demand in the market. Three of those laptops are part of the Lenovo IdeaPad S Series and configured with older, third-generation Intel Core processors. 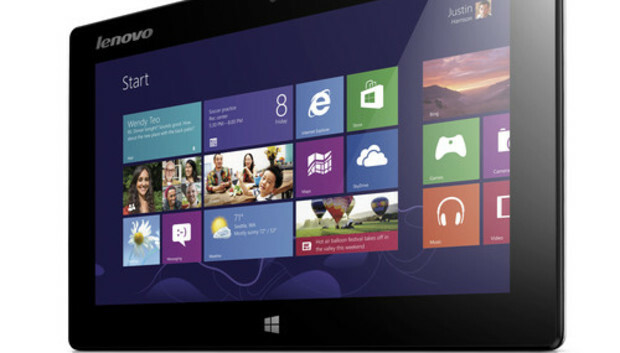 The S210 Touch, with a starting price at $429, is built with an Core i3 chip and has an 11.6-inch HD screen. The larger S400 Touch and S500 Touch laptops, feature 14-inch and 15.6 inch HD screens, respectively, and can be equipped with up to Core i5 processors and optional discrete graphic cards. The S400 has a starting price at $449 and the S500 at $579. All three laptops in the S series are around 20mm thick and weigh from 1.4 kilograms. The two other laptops in the IdeaPad U series pack more power, and can carry the Intel Ultrabook name. Both the U330 Touch and the U430 Touch notebooks have thin designs starting at 19.5mm and also contain Intel's latest 4th generation Core processor. The U330 has a 13.3-inch screen, while the U430 has a 14-inch screen. Both notebooks come in different configurations that can include Core i7 processors, Nvidia GeForce graphics cards, and 1080p resolution on the display screens. The U330 starts at $799 and the U430 at $899.